Today's Nashville City Paper highlights the importance of air service to business development in Music City, and Metropolitan Nashville Airport Authority ("MNAA") President and CEO Raul Regalado is prominently featured. 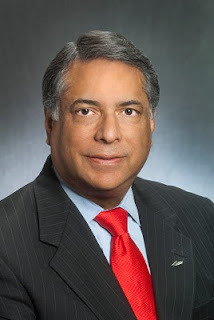 The article features the work Regalado does with businesses directly as they consider Nashville, and it also mentions the airport renovations and improvements that Regalado has spearheaded during the economic downturn. If we didn't have an adequate airport, and if we had terrible air service, Nashville would not be doing as well as it is in the economic development business. Read the full article by Erin Lawley here. It’s an honor to be selected by Secretary LaHood to serve on this committee. The MNAA has had many successes in the time that I have been here, and I have learned many lessons here and throughout my 38-year airport career. I look forward to bringing our best practices to the table as I join other industry leaders in this important dialogue. I think we’ll have to see changes in technology like we are starting to see in the automotive industry. We will see more fuel-efficient engines, "hybrid aircraft" for taxing efficiencies, more efficient routing of aircraft and approaches, as well and the development of alternative fuels. Yes, we will be flying on commercial airlines in 100 years, but they will be much different than they are today. For more on Regalado, read the full HispanicNashville.com interview here. For more information on Nashville's airport, visit its web site at flynashville.com. For more information on the Future Of Aviation Advisory Committee, including the mission of the committee and dates for upcoming committee meetings, visit the Committee’s website at http://www.dot.gov/faac/. The next meeting is July 14 in Atlanta and is open to the public.